An affordable family heirloom. Classic in design, this traditional chairside floor globe with dark cherry-finish and decorative carved accents enhances the rich colours of the globe ball. 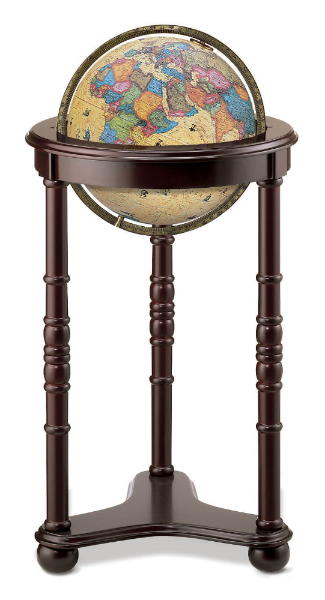 Featuring an up-to-date map, the illuminated sphere is antique style whilst the non-illuminated model has a bronze metallic finish. Each globe has raised-relief and a metal die-cast full meridian. Families can enjoy this heirloom piece for years to come.